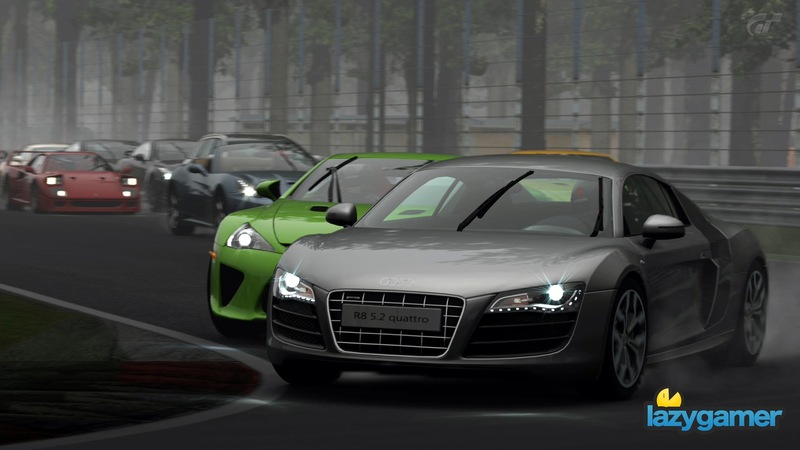 Gran Turismo 5 is here. After years and years of patience, delays, news, rumours and flame wars, the next version of Polyphony Digital’s Real Driving Simulator is finally in our hands. 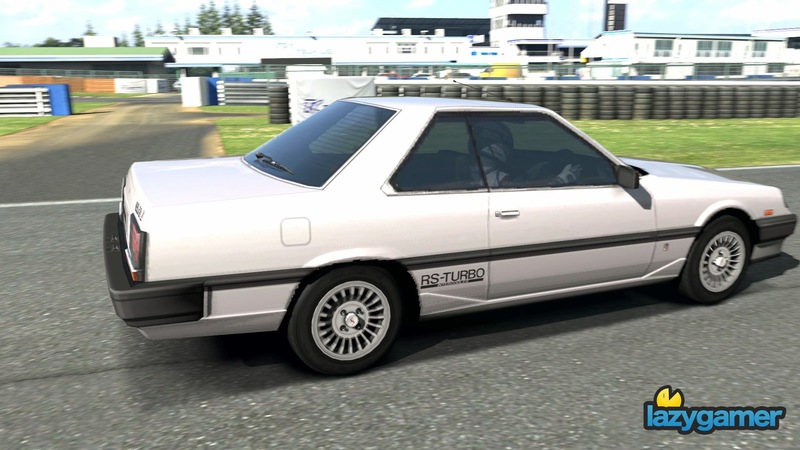 I am a longtime fan of the Gran Turismo series as well as a complete petrol-head, which usually means that if a game lets me simultaneously propel and control something with four wheels and an engine, I’m usually very, very interested. Now, I would be lying through my teeth if I told you that I was only hyped out of my brain for Gran Turismo’s fantastic driving physics. The truth is that with a game like Gran Turismo, you can’t help but kinda want the game based on the incredible visuals alone. Just a short while in to the game’s career mode, you could imagine my absolute dismay when I realised that the less impressive “Standard” cars looked a whole lot less standard and a whole lot more damn-near-atrocious than I had originally imagined. Even more interesting, is that Polyphony have gone out of their way to try and prevent it from getting out. At the beginning of my career, I was told that I need to use my starting cash to buy a second hand used car in order to get things going. 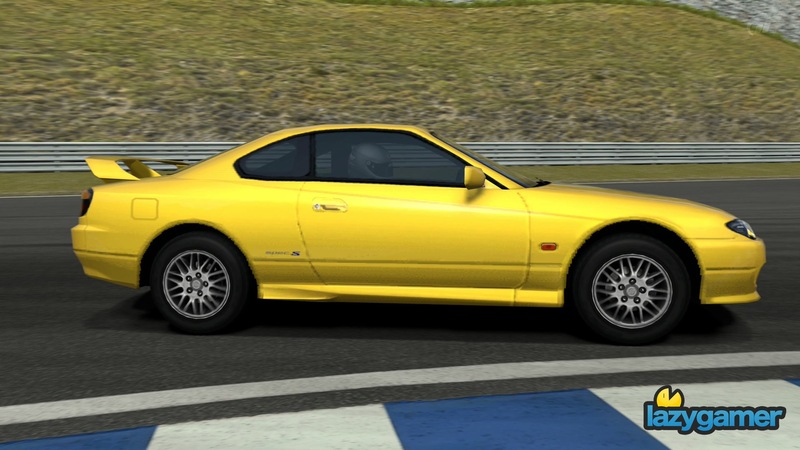 Utilising my long history with Gran Turismo and deep knowledge of automobiles, I went for the first one that I could afford that didn’t look like complete crap, so I bought a Nissan Silvia. I already knew that I wasn’t going to have a cockpit view for the car, but what I didn’t know was that everything I was able to see would look like complete and utter trash from a generation long gone. 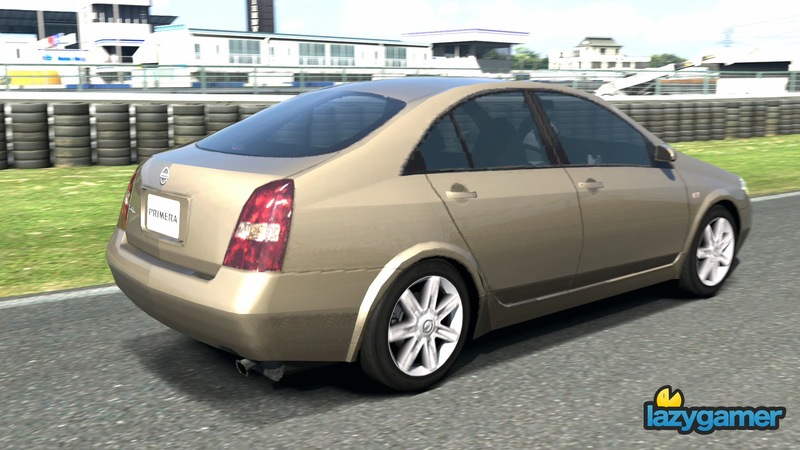 What many people didn’t seem to realise is that when Polyphony said that they would be bringing over cars from the PS2’s Gran Turismo 4, they literally meant that they were just going to copy them over with absolutely no changes to the car models or textures whatsoever. 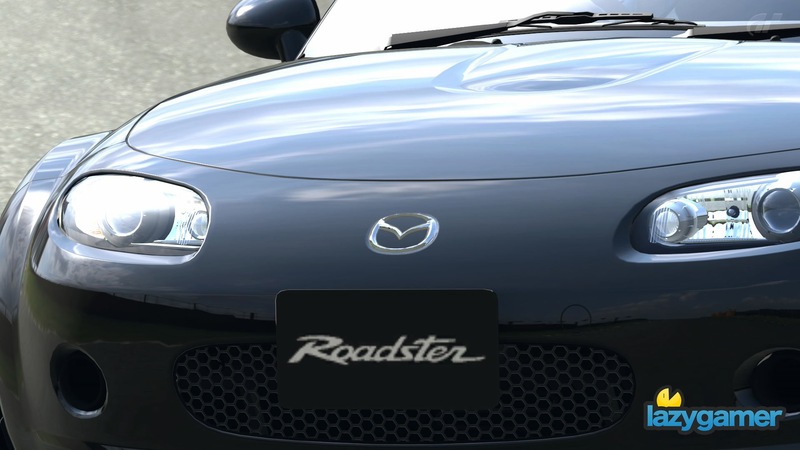 Photos like that are the sort of thing you thought about when the name Gran Turismo 5 came up in conversation. 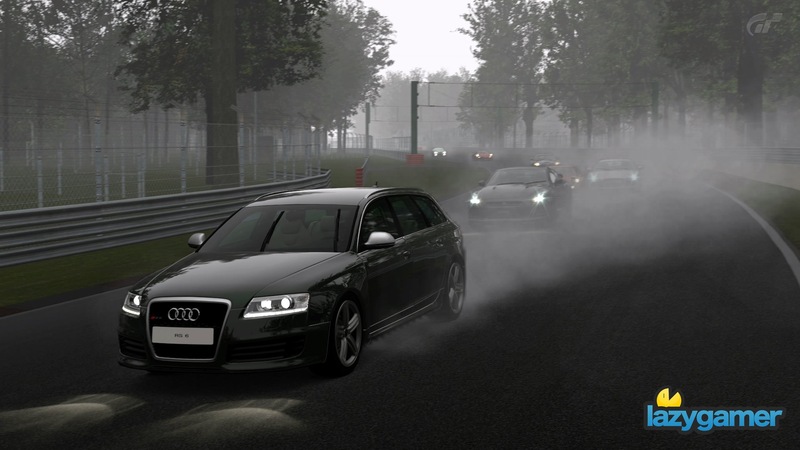 Thing is, it seems like Gran Turismo 5 is very, very happy to let your show off just how good the game can look, however, it seems to try and do as much as possible to ensure that you don’t show off how bad it can look. 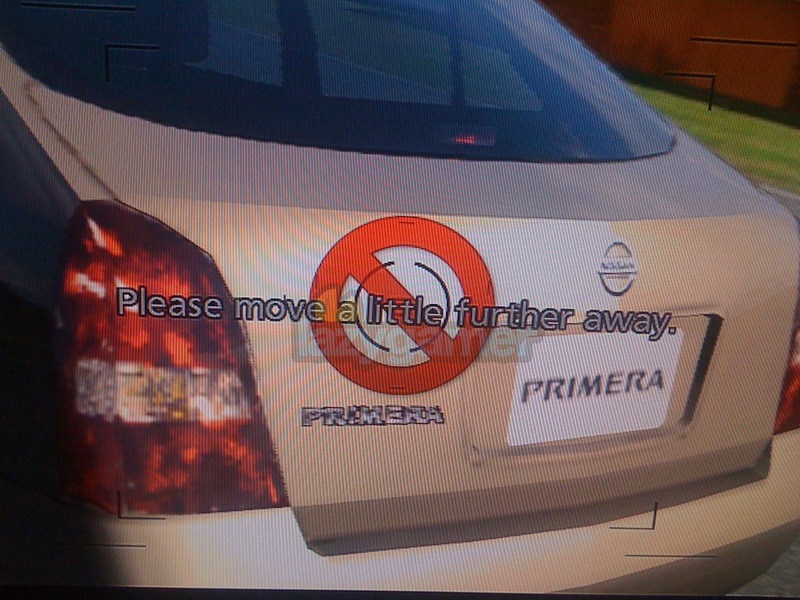 I realised this when I attempted to take a close-up shot of a standard car, only to have the game tell me to “Please move a little further away”. At first I thought that it was related to something else, until I realised that at close range, the sign only popped up when I was looking at standard cars. Shift the camera over to a premium car right next to it and you can zoom in all you want. Now look what you have gone and done Polyphony, not only can everyone see very low poly model and the terrible textures, but they are seeing it with horrible TV lines from the aforementioned crappy cellphone camera. You folks should have just let me take the photo using the photo mode. As you can see in photos like that gorgeous one of the Audi above, the game can look really fantastic, especially when all of the cars on the track are premium ones. However, when the track is full of standard cars, the view is nowhere near as pretty, and you might even wonder how you are still playing the same game. What I found to be the worst of the lot, was situations like the race where I took some of the photos above, in that the grid was a complete mix of standard and premium vehicles that just don’t look right together. We still have a lot of time to spend with Gran Turismo 5, so as much as it failed to make a good first impression, we will still be spending a lot of time with the entire game to determine what the final verdict will be, so stay tuned for our review in the near future. Oh by the way (just because it was also in the picture folder), here… have another pretty photo.